it's my girls' world: Foodie Friday! These girls love their food as I've alluded to before. Cassia's favourite question is "What's for ___?" (Fill in meal here.) 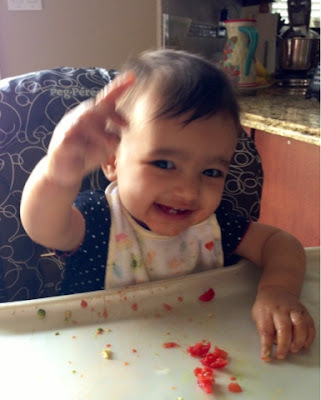 And Miss Anjali quietly sits in her high chair for ages quietly enjoying her food. We're onto real food cut into tiny pieces and she loves it! 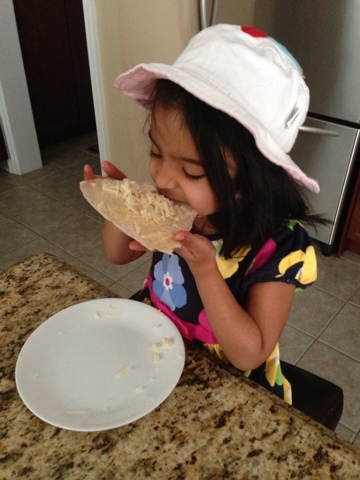 Breakfast this morning- pita and grated cheese- She loved it likening it to pizza!